Display ads are the billboard advertisements of the web. They were those unattractive rectangular boxes with flashy buttons prompting you to ‘Click now!’ or ‘Buy now!‘ and we all have made it a point to steer clear of them. This was the scenario up until a few years ago. These banner ads became tiresome and boring to the point where our brain just skips them on autopilot. But over the years, our digital marketing gurus have hacked their way into making people take banner ads seriously. The performance of a display Ad is measured in terms of its CTR or Click Through Rate which is defined as the fraction of people who click on the ad out of the total number of people who view it. Unlike other forms of advertising, the CTR for banner Ads is less than 0.06%. You might be wondering- then why do companies go to great lengths to create compelling display Ads for their brands in spite of such low CTRs? This is mainly because these Ads are a great tool for targeted advertising. You can ensure that your Ad is seen by a lot of the right people. 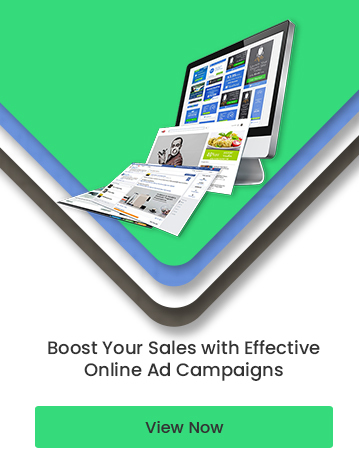 Many display Ads are made with re-targeting and brand awareness objectives. Display Ads are without a doubt an effective means for digital marketing campaigns as it provides diversified options for including graphics, video, animation and gifs into the advertisement. Also, most platforms have display Ad analytics which provides rich data for guiding your future Ad campaigns. Simply putting up an infographic showing your brand/product will not make the magic happen! We come across a humongous number of Ads as we scroll through our screens. But we are not tempted to click on a majority of them. And some, we hardly give a second glance. 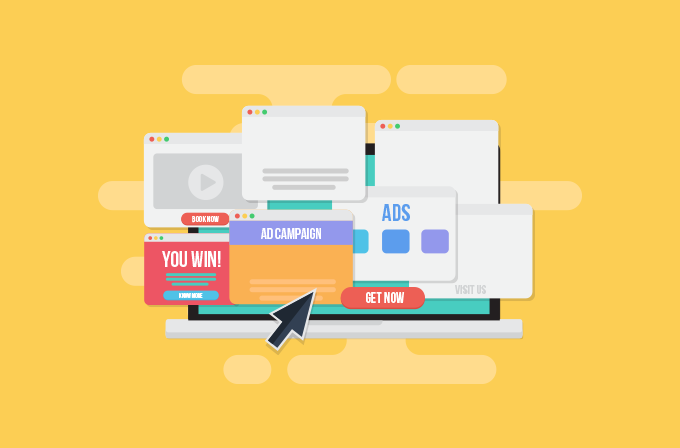 If you do not want your Ad to go to the ‘ ignored ‘ pile, here are a few tips you could keep in mind while designing display Ads for your next campaign. Trying to connect with the emotional side of the targeted audience is a key step in designing Ads. Ads should be informative, but at the same time, a person who views it must be able to relate to what it is trying to convey. It should look like it has something to offer the viewer. For this, we must have an idea about who is going to see the Ad, what impact does it make on the viewer and what action you want the viewer to take. Emotional appeal can encourage the audience to take action. Your audience should be able to comprehend the gist of your Ad within a fraction of second. Simplicity in your design can make the relevant information obvious to the user. People might be browsing on devices with varying sizes and interfaces. Your image should be flexible enough to be viewed comfortably on all devices. Use high-quality images that do not get distorted when viewed on large screens. You can check out Pixabay, an online repository for high-resolution free photos, illustrations and graphics that you can use for your creatives. Stand out among your competitors with a little bit of creativity. Make your tone personal or witty to catch viewer’s attention. When humor meets Ad objectives, it can make your brand connect with the audience leading to higher CTR. Stick to your corporate branding guide. The logo, the font and the colors that make up the Ad give your brand identity on a platform where there are numerous competitors. Consistency in Ad campaigns ensures brand recognition and customer loyalty. You might be tempted to cram in a lot of information into your banner Ads, but this can prove to be detrimental for your CTR. The average attention span of the user is quite small. An overload of information can distract them and cause ‘banner blindness’. Be concise and reduce clutter to get your message across to the masses. Display Ads are published on a page with a ton of information, and in order for your Ad to strike a note with the viewer, the colors that you choose must be appeasing. There is a strong association between colors and emotions. For instance, blue which denotes trust and security is often used by banks to gain customer confidence. Apart from the psychological aspect, your choice of colors should stand out against the backdrop of the page on which your Ad is being posted. Rich media cranks up the advertising game a notch by including videos, audios and other features to display Ads, making it interactive and engaging. It is an effective way to direct the viewer’s attention to your Ad away from all the marketing ‘noise’. Although it comes at a cost, optimized rich media content can generate higher CTR as compared to static banner Ads. Following these tips to the word need not skyrocket your CTR. It would be a good idea to test the waters and find out what works best for your brand. A/B testing can be employed to optimize banner Ads and improve their performance. Display Ads, if done effectively, can boost your brand awareness, generate leads and pave way for business growth.